A girl can never have enough beauty products! I just got these two 100% natural products from Momma B's. As I already mentioned how much I like sugar lip scrubs, I couldn't resist to get one more. It makes the lips super soft, and in the scent 'Very Cherry' it smells so incredibly amazing, I just can't resist using and smelling it! The other product - body shimmer - is just amazing as well. I never had something like this, it looks so gorgeous on the skin, not glittery or anything, but literally glowing, and it smells like coconuts! It's such a perfect product! 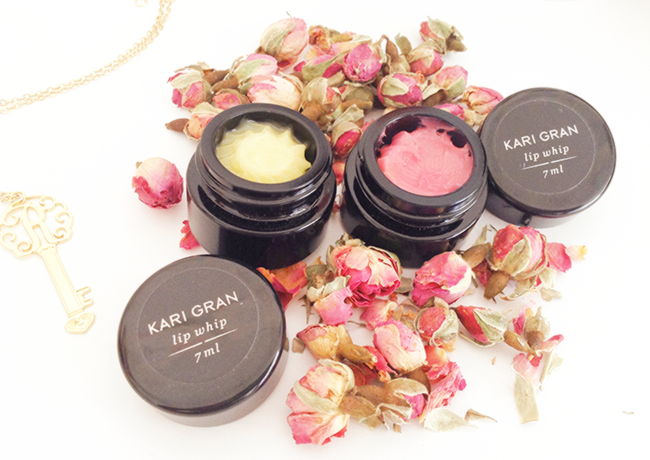 I also got to try two organic lip products from Kari Gran. 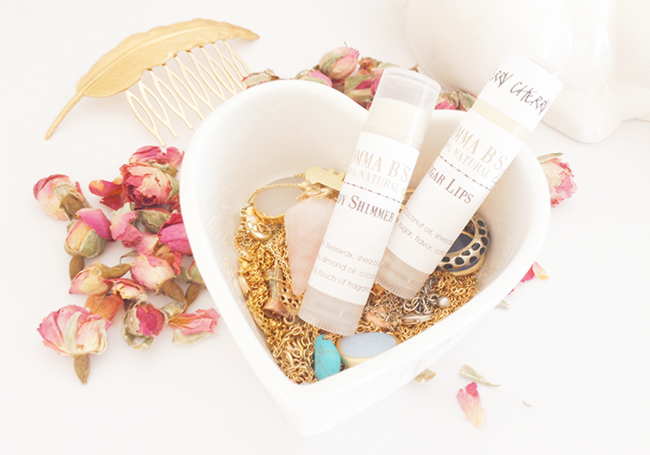 These whip lip butters are perfect for everyday use, they are really glossy and almost look like lipgloss without being sticky, which is just great! They also smell great and the pink one has the peppermint cooling effect, I really like that. The black glass packaging is adorable as well! To be continued my candle addiction! My new soy wax candle from Luminary Candles smells like strawberries even when it's not lit, such a sweet and girly scent. And the packaging is just adorable, isn't it? I love candles in glass jars. 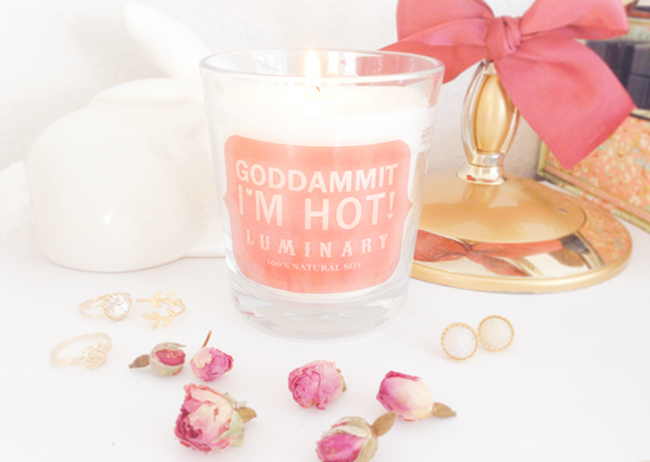 It's also very affordable compared to some other soy wax candles which tends to be quite expensive. I could never have enough body butters! I love peonies and this butter smells so good, fresh, floral and just clean. Very feminine and romantic. It makes the skin really soft and the scent lingers for quite some time. 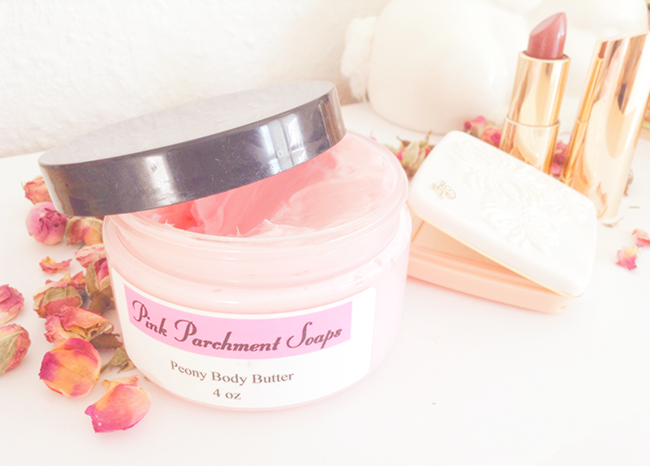 And of course it's so pretty, how could I ever resist a pink colored body butter? Hehe! 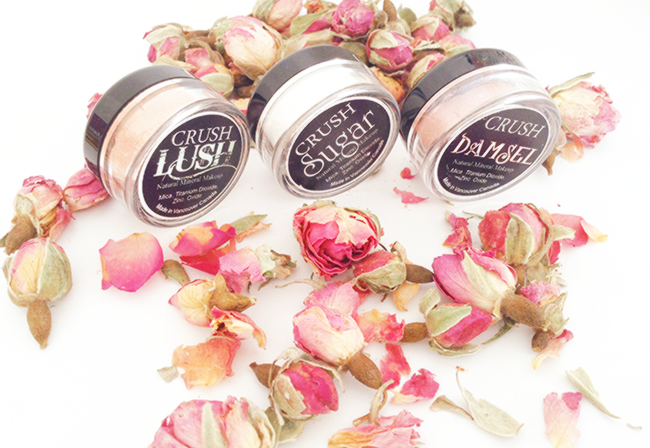 Mineral eye shadows from Crush Cosmetics are pure, free of parabens and all natural. I got three gorgeous shimmery colors, they are really pigmented, easy to use and looks just beautiful on the lids. The one in shade 'Sugar' also works perfectly as a highlighter! As a perfume addict I was thrilled to try some solid perfumes from Dollface perfumes. 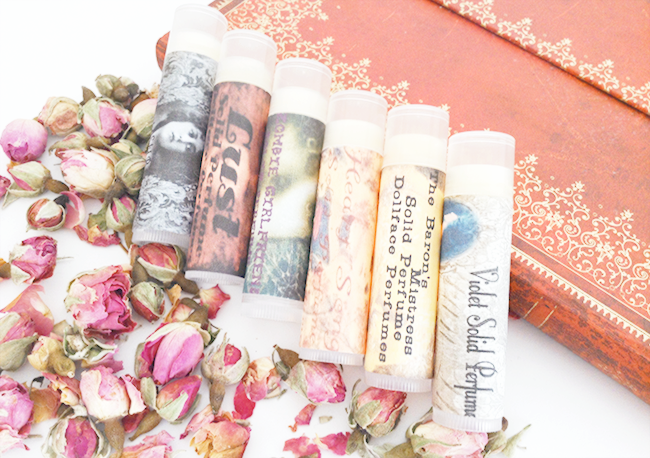 'Fantasy, Science fiction, Steampunk, Goth, Vintage, and Burlesque inspired magical solid perfumes. Made from natural beeswax and vegan candelilla.' the description is perfect for these gorgeous scents! I really like solid perfumes, they are easy to carry around and the scent stays on for a really long time. These in particular are just magical, warm, sweet, dreamy scents definitely makes me feel like a character from an old, vintage movies, it's even hard to explain but I hope you get what I mean! I got these photos from Printic - an app which allows you to print & share pics in a cute polaroid format directly from your smartphone (iOS and Android). I chose some photos from my instagram and a couple days later I got a little orange envelope with these cute polaroids inside! It's really fun and easy. 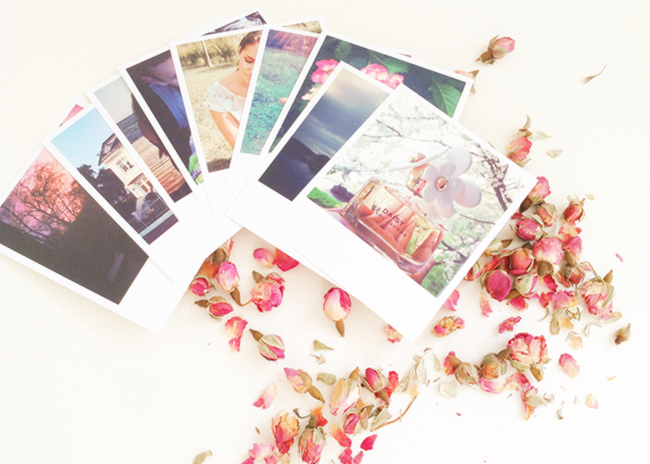 Printic is offering two of you a pack of 5 printics, so if you would like to get some cute polaroids for free, leave a comment with your email address. Giveaway ends November 27th. Love that candle, and gorgeous polaroid prints.